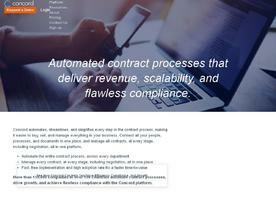 Online Contract Management Software aims to dramatically simplify contract administration and how companies manage their contracts. Contract management software systems provide features such as contact tracking, data importation tools and a unified user dashboard to easily manage contracts and contract admin tasks. The Contract Management Software here is offered under the SaaS (Software as a Service) model, meaning that the software is web based, hosted on the Cloud and can be accessed when needed through a client or web browser. If you’re looking for similar online software like Contract Management Software, consider our Inventory Management or Project Management Software categories.